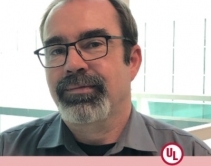 By Rodney Bosch · April 19, 2019 • UL Technology & Security director Andrew Jamieson says the world doesn't need another IT security standard but does need cybersecurity oversight of IoT devices. He provides an update on UL's Cybersecurity Assurance Program (CAP). By CE Pro Editors · February 26, 2019 • UL is now offering free, open-access online viewing of its entire library of over 1,400 UL Safety Standards to help address safety, security, and sustainability challenges. 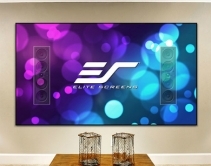 By Robert Archer · January 29, 2019 • The acoustically transparent Elite Screens Aeon CineGrey is a fixed-frame projection screen featuring an edge-free design to help compliment the interior design of many homes. By CE Pro Editors · March 30, 2018 • Developed under the Tyco Cyber Protection Product Security Program, VideoEdge NVR becomes the first product to be officially certified by UL's Cybersecurity Assurance Program. 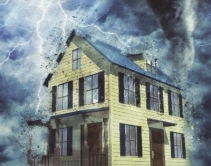 By Jason Knott · December 12, 2017 • The state of IoT cybersecurity: UL says smart-home integrators and manufacturers share liability when IoT systems are hacked, warns home-tech industry to implement guidelines and best practices. By CE Pro Editors · October 6, 2016 • Elite Interactive Solutions of Los Angeles becomes the first to receive certificate of compliance to UL 827B and UL 827. By CE Pro Editors · October 13, 2015 • UL will host the seminar "Performance & Reliability Solutions of High Speed Digital Audio/Video Interface Cable" on Oct. 16 during CEDIA Expo 2015. 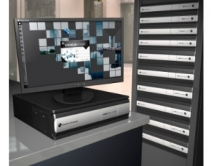 By CE Pro Editors · October 12, 2015 • UL discusses its 4K A/V Interface Cable Performance Verification Program for CEDIA Expo 2015, which covers 10.2 Gbps and 18 Gbps cables. By Jeff Boccaccio · October 6, 2015 • Both Underwriters Laboratory (UL) and HDMI Licensing, LLC are launching test and certification programs for 4K-capable HDMI cables. Jeff Boccaccio, the original HDMI certification guy, weighs in on the challenges. 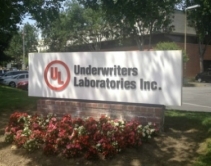 By Robert Archer · October 2, 2015 • Underwriters Laboratory (UL) goes beyond "safety" testing, launches certification program at CEDIA to validate performance of 4K connectivity cables. By CE Pro Editors · September 1, 2015 • Wearable devices must be able to be worn for extended periods of time without rashes, burns or other skin irritation. A team of UL researchers explains how these devices can be tested to help ensure physical safety for wider adoption. By Robert Archer · April 14, 2014 • The newly introduced touchscreen version of Kwikset's SmartCode 914 deadbolt lock provides all of the features of the original 914, including keyless entry, and adds the convenience of a capacitive touchscreen. By CE Pro Editors · September 19, 2013 • Arlington’s recessed TVBU505 non-metallic combination power and low voltage TV BOX™ is the secure, easy way to mount a flat screen TV flush against a wall. It features power in one side; low voltage in the other. . .